Every now and then I like to eat a sweet tasty treat. Usually I enjoy my treats in peace but lately my Harmia has grown curious about my sweets. She wants to know things like: what are they, what do they taste like, what do they feel like, etc. I try to explain their yummy goodness but I don't think her tiny dolly brain grasp how delicious they are. So I thought it best for her to experience the treats first hand and it gives me an excuse to eat more sweets. Harmia’s first sweet comes from Carlo's Bakery it was also my first time visiting the Dallas bakery. I picked 1 Red Velvet & 1 Chocolate Buttercream Cupcake (I wasn't sure which flavor Harmia would enjoy). Oh look, she's so happy. But she's having an issue, she couldn't decide which one to eat. Luckily, her friend Himeno popped over. 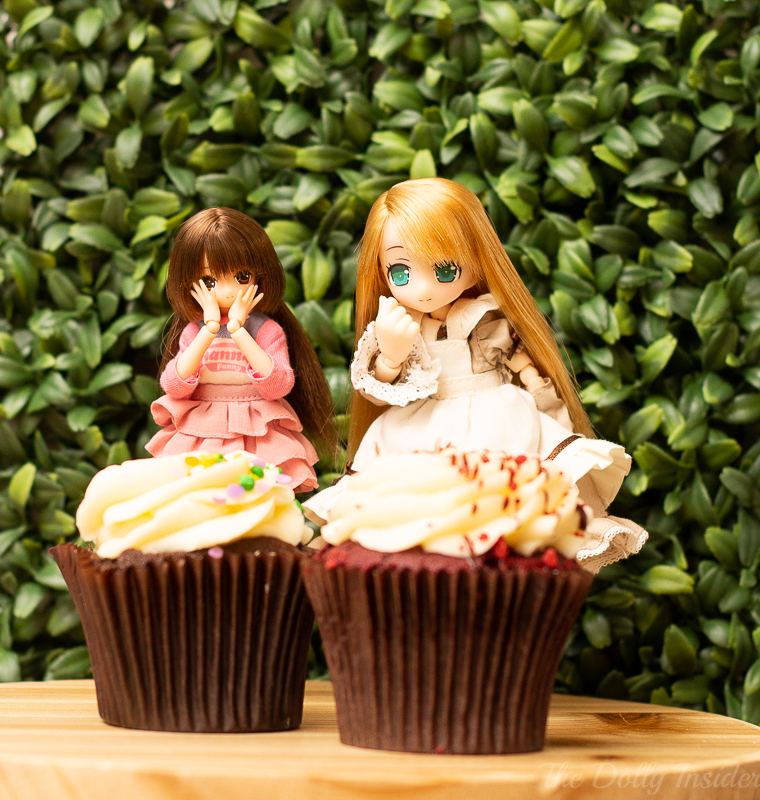 Harmia decided to give one of the cupcakes to Himeno as a reward for completing the Friday Yoga with Himeno series. 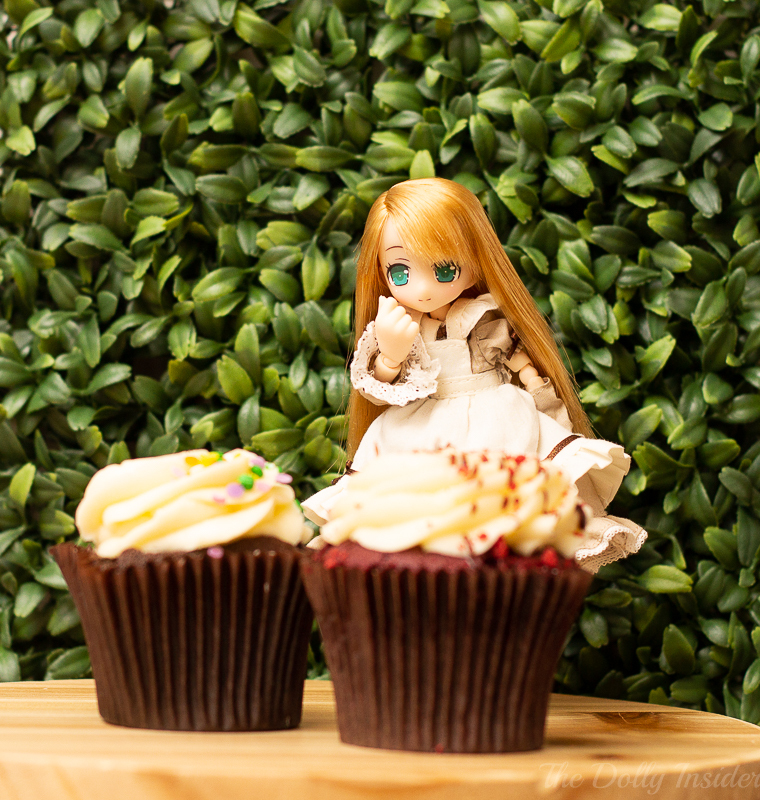 Himeno grabbed her cupcake (the red velvet one) and headed back to her studio. I noticed my camera battery was getting low, so I left the room to get a fully charged battery. I was only gone for 1 second. I had no idea a tiny fairy could eat like that and so quickly. Harmia didn't leave any cupcake for me to try unless you count the the few crumbs. Oh well, it was her cupcake after all. I'm happy she enjoyed it. 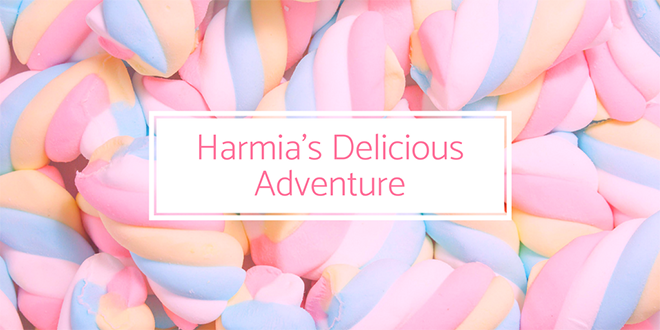 But I have this strange feeling Harmia may have developed a taste for all things sweet and delicious. Because she's already asking when she can try the next sweet treat. 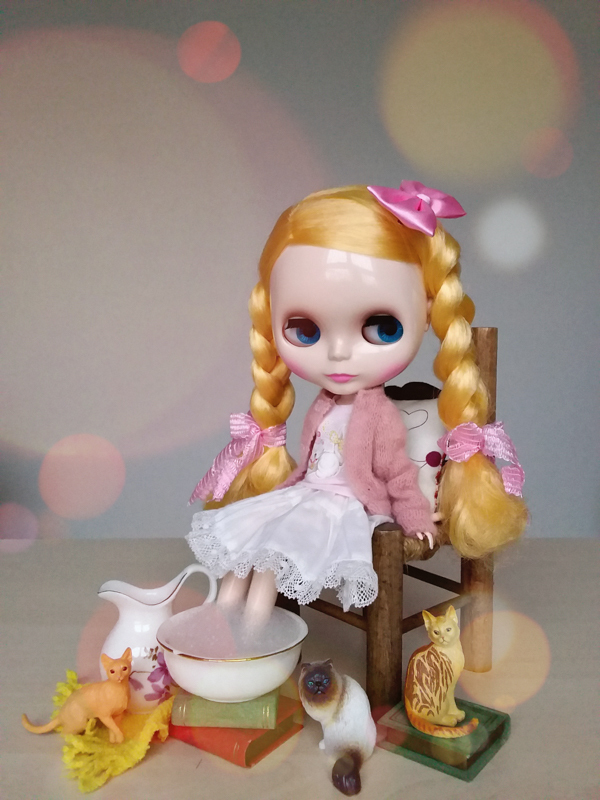 Do your dollies like sweet treats, if so, what are their faves? Do they like store bought treats or homemade goodies? 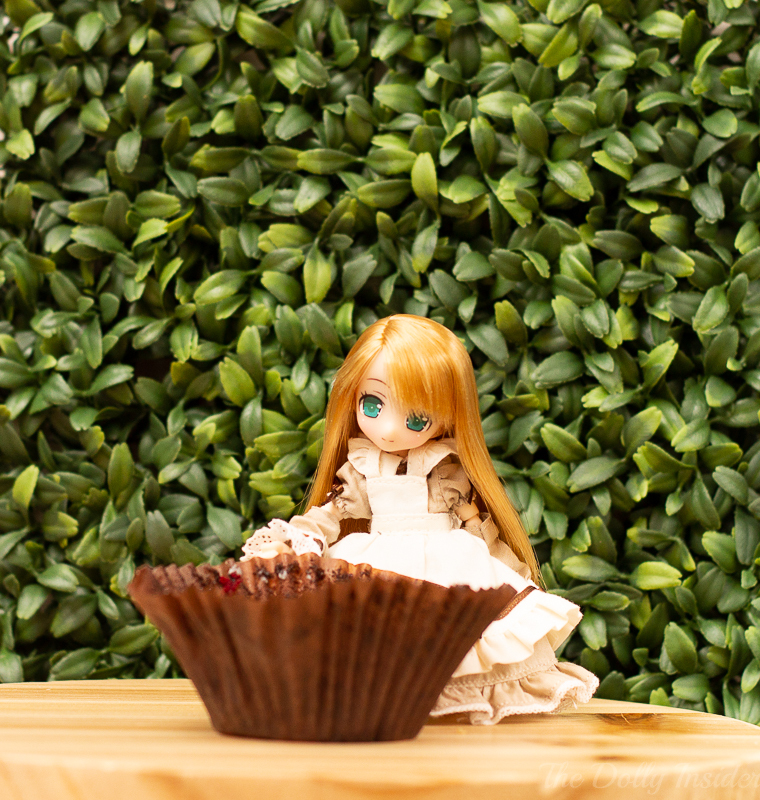 Leave a comment in the box below and share an image of your doll eating a sweet here! 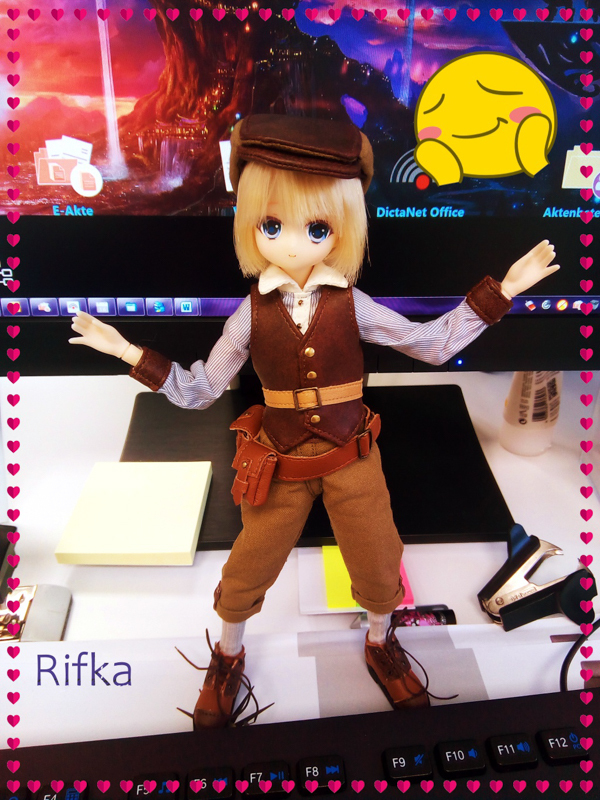 Harmia and I are looking forward to chatting with you about your dollies’ favorites. This thing is so sweet! 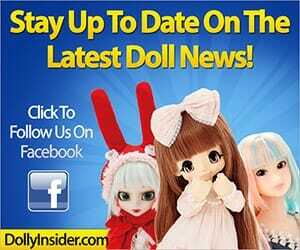 Who would have thought dolls have an appetite for sweets? And I can’t seem to say no to their request.